Liver detoxification isn’t simply staying away from alcohol for a period of time. 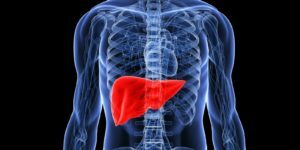 If you are like most people, you don’t often think about your liver but if you are interested in living as healthy as possible, attending to your liver can have big payoffs. You may also find that weight control becomes much more difficult as a result of a backed-up liver. Blood sugar control, fat storage, and metabolism are all critical factors in weight management, and your liver is a key player in this delicate balance. A toxic liver cannot keep up with its metabolic functions if it is unhealthy. Other symptoms of liver overload are food allergies, high cholesterol, high blood pressure, skin conditions, and digestive problems such as heartburn and bloating. Every day our bodies are bombarded by many different toxins, and it is primarily the job of the liver to handle this toxic load. These toxins can come from pesticides and chemicals used in the production of our food, environmental substances such as impure water and pollution, medications, artificial sweeteners, high amounts of animal fat, and even caffeine and alcohol. Diet: Cleansing the liver involves avoiding the offenders such as artificial sweeteners, overly processed foods, chemical additives, pesticides, excess animal fat and medication (if possible). It also involves adding foods that are believed to help to cleanse the liver such as garlic, grapefruit, beets, carrots, green tea, filtered water, leafy green vegetables, and olive oil. Environment: Try to reduce your exposure to environmental toxins whenever possible. Moderating your use of strong cleaning chemicals, avoiding tap water, and getting plenty of fresh air may help. Using natural personal care products will also reduce the toxic load on your liver, as these tend to be absorbed through the skin into the blood stream.